Integrating vital information on the dynamics of the donation experience and grief education, this revised second edition provides an invaluable resource for hospital and organ procurement caregivers. Going beyond helping professionals understand the challenges of obtaining consent, this guide invites them to offer compassionate care throughout the family's experience with the death, including the months and years following. 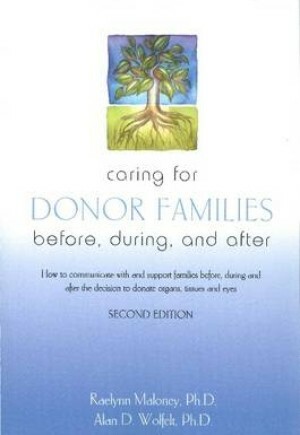 The chapters include information on understanding the family's initial responses, helping families understand brain death, facilitating the donation discussion, assisting families with meaningful leave-taking rituals, understanding long-term grief responses, and establishing an ongoing family support program. Three easy-to-follow sections - before, during, and after the donation experience - guarantee that caregivers can easily access the section most relevant to their role with the family.